There aren’t so many colors in Switzerland at the moment. It’s rather gloomy. But suddenly, you discover something, which pops up from the grey. 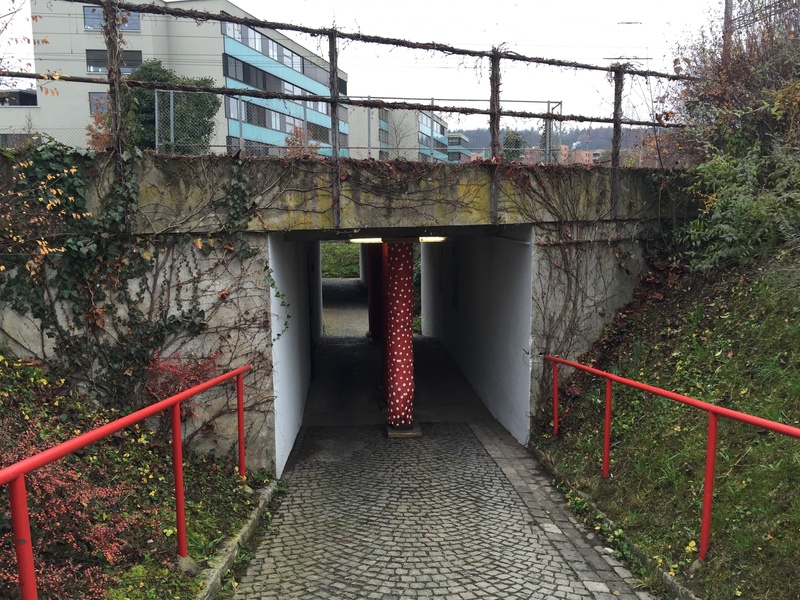 Someone had this wonderful idea to put more colors to a simple railway underpass. It is as if someone smiles at me. We all need an unexpected smile from time to time, which brings a short moment of warmth. It takes nothing. But it gives a lot. It brings color into life.